Specific, currently allocated staff accomodation. Very rare sale of 2 quality properties that are located within walking distance of ski lifts and commerces. The Chalets … This is the sale of TWO chalets together. They have both been used as part of a rental business and have incredible earning potential. The chalets are side by side and occupy one large land plot. The newest of the two was completed just 2 years ago and has been built to an amazing standard of quality, craftsmanship and energy performance. 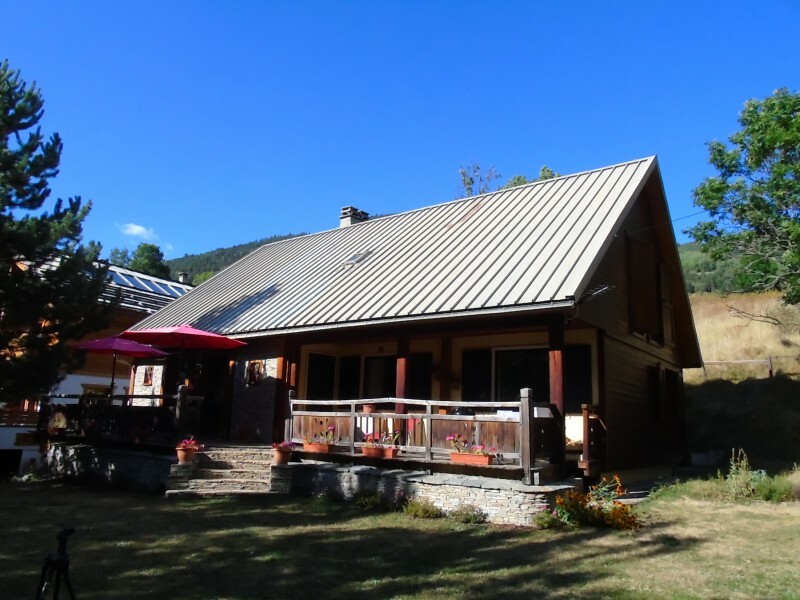 This chalet has a large parking area on the ground floor which can accommodate up to 5 vehicles. On the first floor is a self contained 2 bedroom apartment which is currently used by the hosts of the 2 properties. This floor is also where we find the luxury indoor pool and sauna. There are double sliding doors which open on to the terrace from where one can enjoy the surrounding mountain views from the comfort of the sun loungers. The chalet has FIVE double bedrooms that are exquisitely decorated, each with their own en-suite shower rooms. Three of these have south facing balconies. The third floor of this sumptuous property is the vast open plan living area with kitchen / dining and TV lounge. This space is truly beautiful. The decor and design are of a superior quality which is why this property is regularly rented by discerning clients who require complete luxury. The second chalet is an older, more traditional property which contrasts perfectly with it’s modern neighbour. It has six bedrooms, 3 bathrooms, 2 shower rooms and a lovely ground floor living / dining area which open on to the garden terrace. It has exposed beams, wooden floors and an open fireplace on this floor. 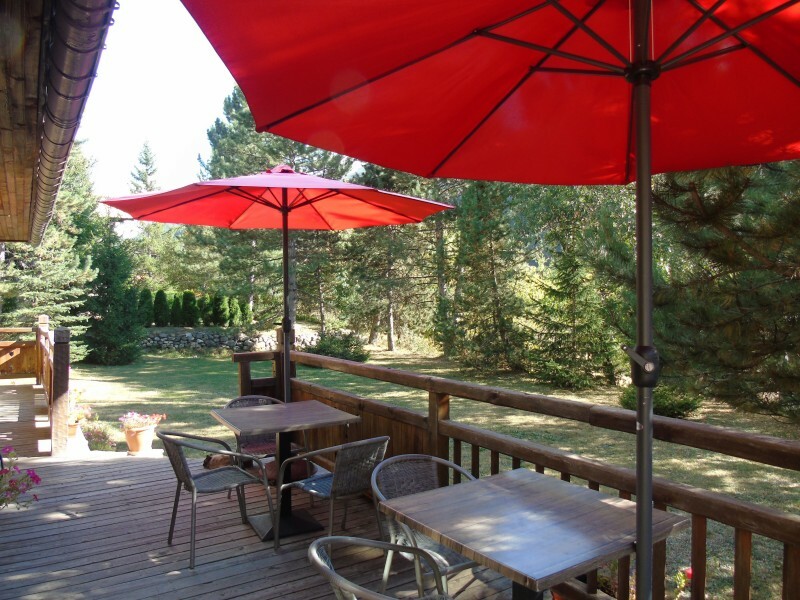 The tree lined garden is a fantastic open space that is very popular when renting the chalet in the spring and summer months. 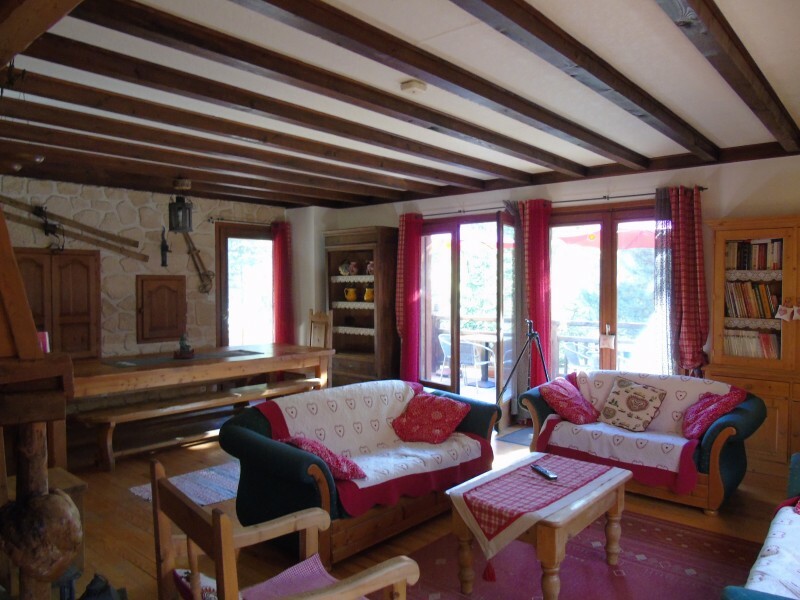 Quality chalets this close to the pistes are VERY rare in Serre Chevalier. 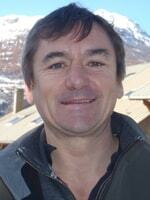 They can command HIGH rental returns both weekly and for longer durations from Tour Operators. The Area... In the very centre of the Serre Chevalier Valley is Villeneuve La Salle. This is the heart of this wonderful ski domain and where one has very easy access to the rest of the ski area as well as Briancon Town. The village has several lifts in different areas taking skiers up in to the high tree lined ski area. This means that queueing is vary rare, even in peak periods. The village has a wonderful choice of bars and restaurants as well as a small commercial centre where the Tourist Office and ski schools are located. Next year the village will host the finish of one of the biggest mountain stages of the Tour de France. This area is world famous for it’s road cycling as it lies right in the middle of the most famous of the mountain passes and gruelling ascents. The Valley is just 125 Kms ( 1 hr 25 mins ) from Turin airport and just 40 kms ( 45 minutes ) from Oulx TGV where one can take the high speed train directly to Paris.